A best seller on the big four lists, New York Times, USA Today, Wall Street Journal and Indie. 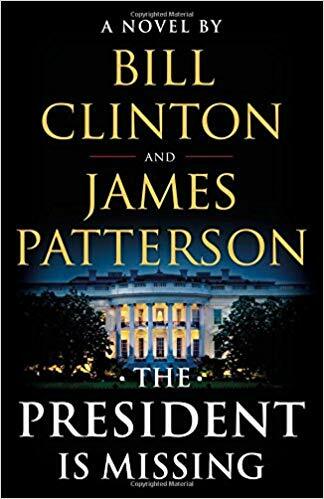 Patterson can write a good book but add to his skill the knowledge of a former president and this book is impossible to put down. Side note here, this could be any party’s president but the the inner workings of government could only come from an insider. It has 528 pages yet it reads fast, impossible to put down. Patterson is known for short chapters and in this book, this is it’s only fault. The reader just can’t turn the pages fast enough. President Duncan disappears after a scandal he must unravel or end up impeached and jailed, maybe dead. He has no clue who to trust, even his cabinet members. The book takes place over three days and includes espionage, cyberterrorism, and a threat to America like never before. The plot to disable the US by crashing the internet, deleting all bank and investment files and basically putting us into a created “Dark Age.” of no planes, trains, or communications. The believable characters become people we really love or hate. The plot twist at the end will surprise and brings everything together. Everyone interested in the inner working of our government, the political machine, Wall Street, or just a good mystery will enjoy this book.